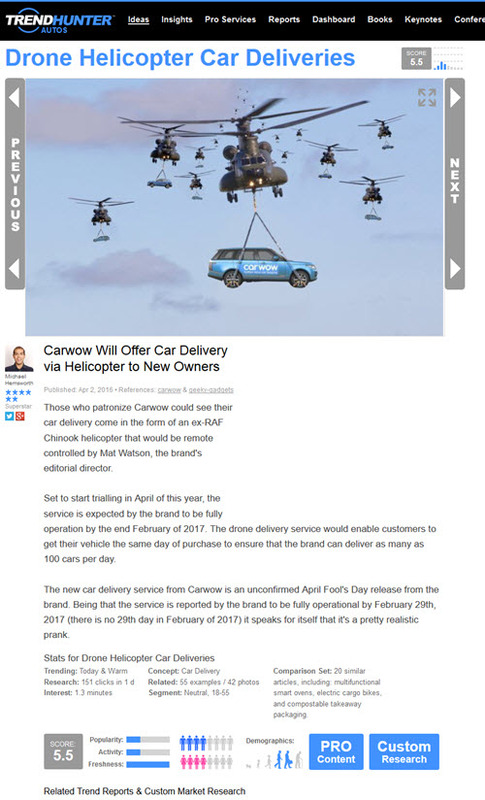 We've been working with Carwow for some time now and they're always a fun one to work with - this time they got in on the April Fool's Day tomfoolery and announced that they were acquiring a fleet of ex-RAF Chinooks that would be kitted out in order to become the new transport mode for having your car delivered. 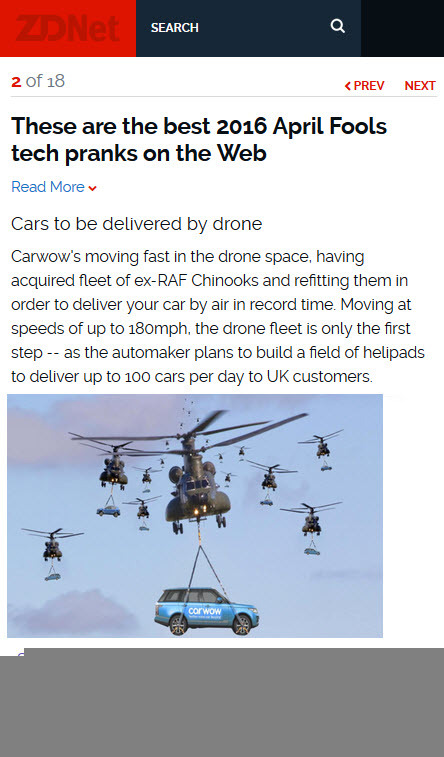 Forget having to pick your car up yourself, or having it driven to your door for you... now you can have it flown to you! It's the thing of dreams.